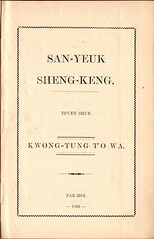 Title: San-yeuk Sheng-Keng. Ts’uen Shue. Kwong-tung T’o Wa. Pak-Hoi. 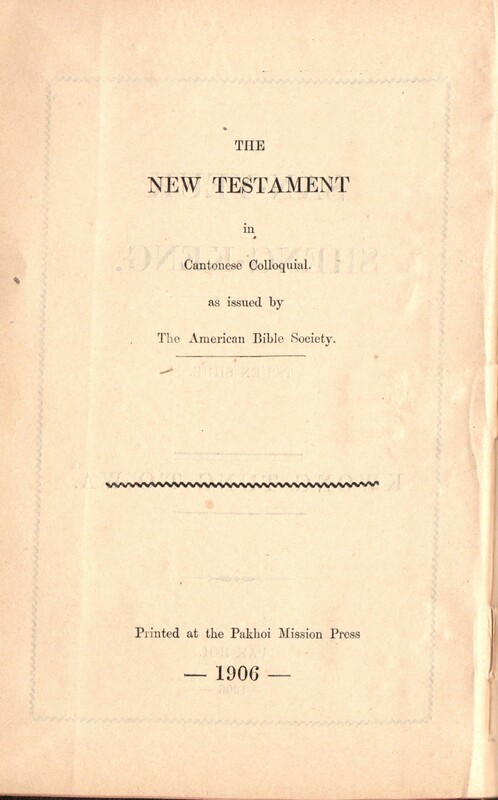 1906 / The New Testament in Cantonese Colloquial. as issued by The American Bible Society. 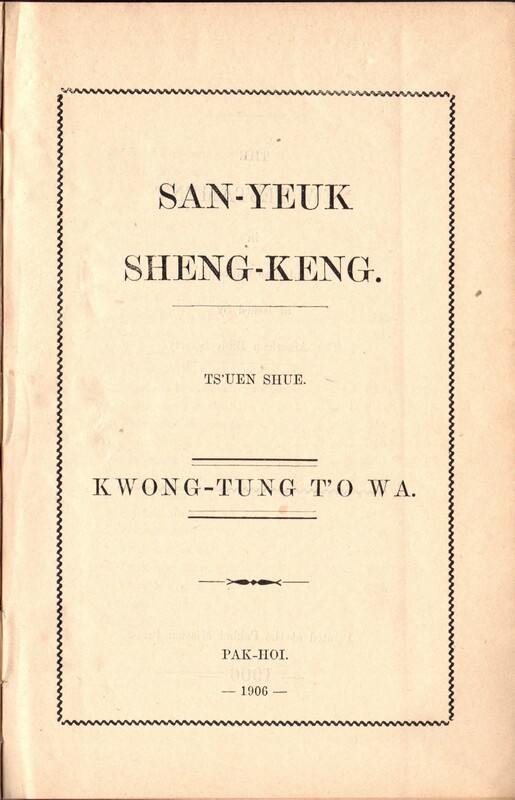 Printed at the Pakhoi Mission Press 1906.